Congratulations, William Barr. You were once the Attorney General for middling but decent President George H.W. Bush. You’d already mostly been forgotten by history, but at least your tiny footnote in the history books at least wouldn’t have been a terrible one. Somehow, against all odds, you found your way back into the game. You could easily have gone down in history a savior of American democracy. But no… it turns out you’re an idiot. It’s bad enough for William Barr that he’s decided to side with an illegitimate criminal president. He’ll now be remembered by history as a traitor who tried to protect a traitor. Donald Trump will be forever remembered as the lowest piece of treasonous scum in American history, and Barr’s picture will be right there next to him in the rogue’s gallery. But then Barr decided to not only sell America out, but to do it in particularly idiotic fashion. 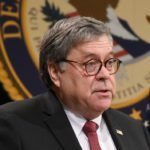 If Barr had simply published a misleading – but even halfway believable – summary of Robert Mueller’s report, it might have actually helped Donald Trump. If Barr’s claims about the report had been just plausible enough to satisfy the media, it would have left the House Democrats with the difficult task of unilaterally trying to convince the general public that Barr is lying. Instead, by basically declaring that Mueller has determined that Donald Trump is Saint Francis, Barr has enraged much of the media, and has thus made House Democrats’ job easier. So why would Barr decide to not only destroy his own reputation and legacy, but do it in a way that didn’t really help Donald Trump? For starters, Barr is performing for an audience of one. Trump is such a malignant narcissist, he wouldn’t be interested in hearing about a plausible coverup; he’d simply demand that Barr get up there and yell “no collusion” – even if it set off a feeding frenzy to unearth the real Mueller report. So William Barr gets to keep his job, at least for now. But how has that worked out for the other people who have sold their soul and reputation for the greater glory of Donald Trump? He’s discarded most of them, and a number of them are headed to prison for it. What did Barr gain? A bit of relevance, we suppose – but only by becoming one of America’s most shameful villains, and ensuring that history despises him for as long as it remembers him.